If you’re planning to take your kids out for the Halloween parties, we have perfect picks for you. Halloween is celebrated in a number of countries on 31st October, on the eve of the Western Christian feast of All Hallows’ Day. In fact, Halloween is a contraction of All Hallows’ Evening. It is a three-day festival dedicated to remember the dead, martyrs and the departed souls. The Halloween parties include trick-or-treating, attending Halloween costume parties and carving pumpkins into jack-o-lanters. The Halloween fever is now spreading from west to India. Many places in Delhi-NCR host happening Halloween parties. If you’re planning to take your kids out for the Halloween parties, we have perfect picks for you. This party will take place from 31 Oct, 2017 5:00 pm - 31 Oct, 2017 6:00 pm at Passion, 60 Basant Lok, Vasant Vihar in New Delhi. Children of age group 4-6 years and 6-8 years. It will cost Rs. 800 per head. 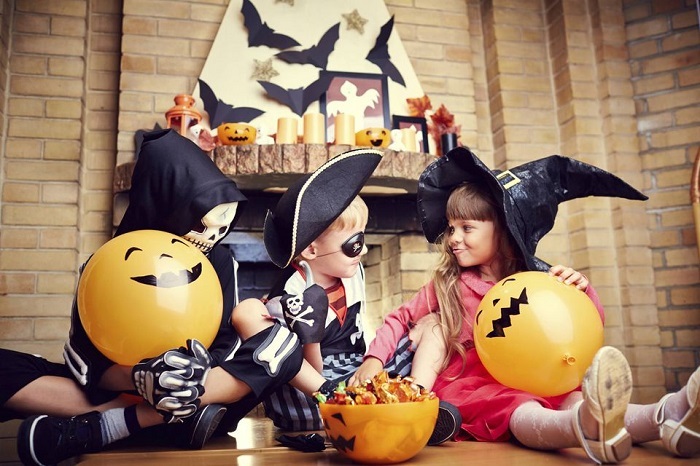 The party includes Bloody Handprints, Screaming Ghosts, Boo Bubbles, Witch’s Brew - Halloween is the perfect time for oozing, bubbling, spooky science!Children celebrate Halloween by exploring the gory, the mystical and the bloody through science experiments. Book your tickets now as this party is gearing near. Experience the craziest mix of monsters this Halloween with Spook-Tacular Halloween party. Dress your kids and yourself as a spooky monster and be a part of this coolest party in the town. Book your tickets on BookMyShow app at just Rs. 550 per head. It will commence on Sunday, 29th October from 4 pm. Vega Schools is hosting a spooky Halloween party for the kids and their parents, which will include fantastic games and sumptuous treats. Enrol yourself for a fun-filled eve with your munchkins. Parents and kids, both are required to dress-up in self-made spooky costumes. The best dressed will be declared the winner. It will be taking place on Tuesday, 31st October from 5:30 pm to 7:30 pm at Vega Schools, Sohna Road, Gurgaon. And guess what, it’s a free entry for kids aged 2 to 10 years and their parents. Gear up for a spooky party in Noida from 30 Oct, 2017 4:30 pm - 30 Oct, 2017 6:45 pm. Children of age group 2-6 years are welcomed to attend the party. So get yourself and your kids to Once Upon A Time, E-86 Sector 39, Noida for the best Halloween of your life. What’s better than having some fun while learning. This happening party will be hitting the town on 29 Oct, 2017 from 4 pm to 9 pm. You can block a seat for yourself at Rs. 300 for members kids and Rs. 550 members guest. It’s a free entry for parents accompanying their kids. So head towards V Club, Gurgaon this Halloween.